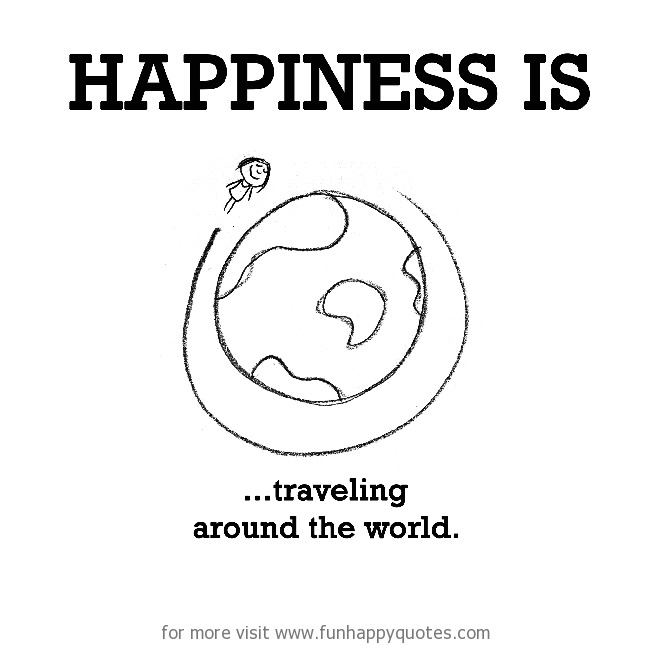 Happiness is, traveling around the world. Previous article Sadness is, missing someone who is probably not even thinking of you. Next article Happiness is, sunflowers. Happiness is, winking at someone. Happiness is, a slice of cake when you’re on diet. Happiness is, walking in a peaceful valley. Happiness is, making random faces at kids without anyone noticing. Happiness is, a night out with girls. Happiness is, seeing your oldest friend. Sadness is, missing someone who is probably not even thinking of you.